If you like this free game, try Chronicles of Albian. The Wizbury School of Magic has been burgled, and the thief is on the loose. It’s up to you now, follow the clues and track down the culprit. Collect items across campus and sell them at the local shop to rebuild Wizbury in time for the coming Magician’s Guild inspection! Meet a quirky cast of wizards and witches, students and professors, ghosts and ghouls! Seek out hidden secrets across campus, and even try your hand at spellcasting! Dozens of mini-games and over 40 unique trophies to earn as you help save the Wizbury School of Magic! 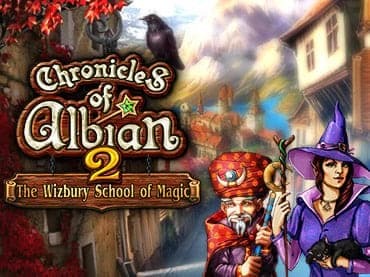 If you have questions about Chronicles of Albian 2: The Wizbury School of Magic game, please contact us using this form.